The City Limit Band welcomes you to our Website which we have designed to keep Our Loyal Fans updated on recent events and happenings around town. We will keep you posted, this will be an exciting year for everyone! Steve Hill , bass guitarist, lead vocals and harmonies. Very smooth and dynamic player. Steve lays down a tight rhythm section with Robert that is rock solid! This Band is versatile as any band you will ever see or hear. The City Limit Band can do a classic Rock and Roll song one minute, classic Country, Disco, Blues, or Motown the next. Request a song and they probably know it! 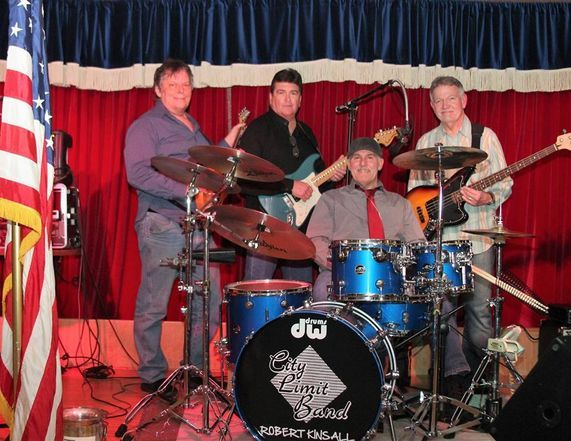 The City Limit Band plays for Private Parties, Graduations, Class Reunions, Wedding Receptions, Night Clubs, Outdoor Concerts, Corporate Events, etc. Anyone who sees and hears this band are simply blown away by the bands harmony and style as well as their entertainment during the show. The City Limit Band has years of studio experience. Some of the members own and operate recording studios, management and publishing companies. The experience in this band is incredible! Check our website often for updates of The City Limit Band Schedule and parties! Come spend an evening with them and ENJOY THE EXPERIENCE OF QUALITY ENTERTAINMENT! Voted Nashville's " Top Dance Band "